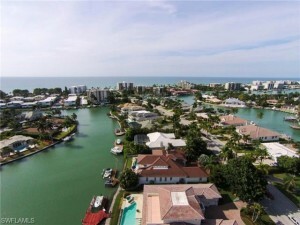 The Moorings of Naples Florida is situated south of the Park Shore development and north of the historic Olde Naples area. This country club community offers luxury family homes and condos that you won’t find anywhere else in Naples. Situated on 1,300 acres, most area residents consider it one of the best beach areas around. Numerous bays dot the landscape making it ideal for boaters. The Moorings Condominiums tower high above Gulf Shore Blvd, a highly desirable location that offers Venetian Bay and Gulf of Mexico views. 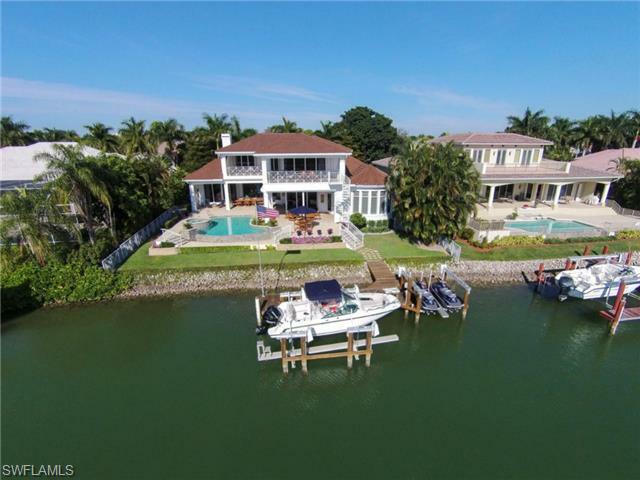 The estate homes in Moorings are sought after for their easy Gulf boating access along with golf course views. Centrally located to just about everywhere you want to be in Naples, The Moorings also offers a members-only golf country club with social and recreational amenities to rival all other clubs in the area. As an early development in Naples, its homes date back to the 1950s, and since 2007, many of the homes have been razed and rebuilt into a grand properties. For golf, there’s an 18-hole PGA course (Par 63) to challenge even the most competitive of golfers. Golf carts and pro shop also available, although walking is also a bonus with the gorgeous landscaping that surrounds the entire property. The club bills the shorter course as ideal for those who like to complete a whole 18 holes in less than 3 hours. Fine and casual dining is available at the Club’s lounge and bistro. Members also enjoy a Champagne and Buffett brunch every Sunday. In fact, the Moorings’ dining is so well-known and loved that the club offers separate dining membership for non-golfers in addition to full golf membership. Many of the homes within the Moorings offer private docks or public access. Properties along Outer Doctors and Moorings Bay have bridge-free access to the Gulf. Schedule a showing of condos or homes in the Moorings by scheduling an appointment online or giving us a call today.